Sweet pea (Lathyrus odoratus) is a flowering plant in the genus Lathyrus in the family Fabaceae (legumes), native to Sicily, Cyprus, southern Italy and the Aegean Islands. It is an annual climbing plant, growing to a height of 1–2 metres, where suitable support is available. The leaves are pinnate with two leaflets and a terminal tendril, which twines around supporting plants and structures, helping the sweet pea to climb. In the wild plant the flowers are purple, 2–3.5 centimetres broad; they are larger and very variable in colour in the many cultivars. 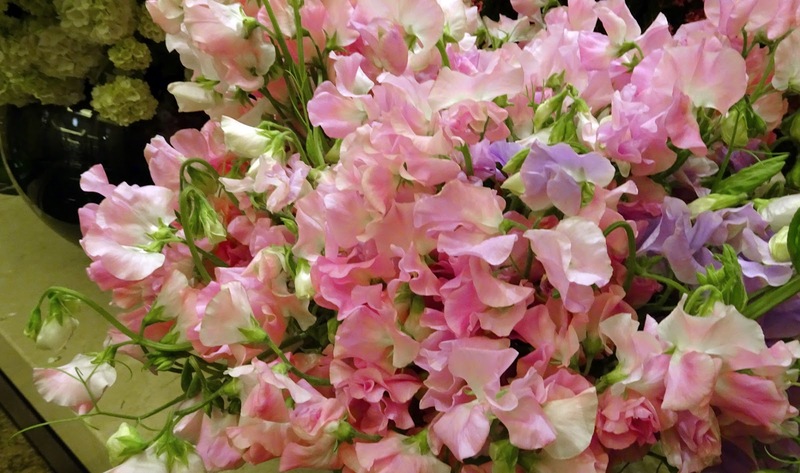 The annual species, L. odoratus, may be confused with the everlasting pea, L. latifolius, a perennial.